Get started on the path to your new career by choosing one of our TREC approved real estate pre-licensing courses with the confidence of knowing that you will get the education you need At Your Pace Online. If you have any questions our world class customer service representatives are here to help, don't hesitate to call us at 1-877-724-6150. We are a Texas Real Estate Commission approved pre-license education provider (Provider ID 9038). When you pass the exam, you will be issued an inactive license at which time you will need to find an active Texas licensed broker to sponsor you. Once you submit your application to TREC you have one year to meet all the license requirements. The Texas Real Estate Sales Agent Course 180-hour package contains all of the courses required by the Texas Real Estate Commission (TREC) to obtain a Texas real estate license - everything needed to prepare for the Texas real estate profession in a single package. From the comprehensive overview provided by the Principles of Real estate courses to the detailed instruction regarding contracts, agency, and real estate finance, you'll find it all in this one complete package. The Texas Real Estate Pre-License: Principles of Real Estate 60-hour course is required by the Texas Real Estate Commission (TREC) for anyone aspiring to obtain a real estate license in Texas. Our Principles of Real Estate course touches on a broad spectrum of subjects required to prepare for the real estate profession in Texas. This course provides an in-depth overview of the real estate profession in Texas and touches on nearly every facet of the industry that licensees will need to know for their future in Texas real estate. The Texas Real Estate Pre-license: Law of Agency 30-hour course is required by the Texas Real Estate Commission (TREC) and was designed to assist anyone aspiring to obtain a real estate license in Texas. 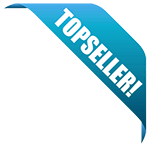 Everything necessary to successfully pass the agency portions of the real estate exam process is provided here. This course addresses the history and evolution of common law agency relationships, their role in Texas real estate, and the duties that real estate agents have to their clients. The Texas Real Estate Pre-license: Law of Contracts 30-hour course is required by the Texas Real Estate Commission (TREC) for all those seeking to obtain their Texas real estate license. It provides everything about basic contracts and contract law needed by the aspiring licensee to prepare for this portion of the licensing exam. This course will focus on the laws and rules that govern the construction of contracts, with special focus on how these apply to the Texas real estate profession. The Texas Real Estate Pre-license: Promulgated Contracts 30-hour course is required by the Texas Real Estate Commission (TREC) to obtain a Texas real estate license. Everything needed to successfully complete your prelicense requirements regarding promulgated contracts is provided here. This course will focus on the TREC-promulgated contracts used by Texas licensees and discuss the nuances of each of the six main sales contracts and the cadre of other forms promulgated by TREC, as well as how to use them. The Texas Real Estate Pre-license: Real Estate Finance 30-hour course is required by the Texas Real Estate Commission (TREC) in order to obtain a real estate License in Texas. Everything counts toward your prelicense requirements and will help speed your way to becoming a licensed real estate professional in Texas. This course will focus on the myriad of methods for financing real estate and all of the private and public influences affecting the market. Texas Real Estate Pre-License: Principles of Real Estate I is an important piece of our Texas prelicense preparation program that provides the information required to help obtain your Texas license. 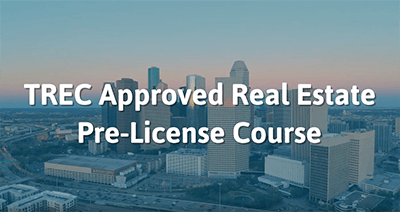 In this course, and every section that we offer, you'll find everything required by the Texas Real Estate Commission (TREC) that you need to know on the subject to pass the licensing test and become a real estate professional. Texas Real Estate Pre-License: Principles of Real Estate II is an important piece of our Texas prelicense preparation program that provides the information required by the Texas Real Estate Commission (TREC) to help obtain your Texas license. In this course, and every section that we offer, you'll find everything that you need to know on the subject to pass the licensing test and become a real estate professional. You are approved to offer the qualifying (core) cours listed below. Please note that every provider is required to submit updates to approved courses as they occur.